The space race between the USA and Russia to land on the Moon was one of the biggest events of the 20th Century, with US astronaut Neil Armstrong making the famous landing in 1969. But now Nasa wants to go a step further - by getting astronauts to stay there. The space agency is hoping to make this "next giant leap in deep space exploration" within the next decade. President Trump plans new moon landing! 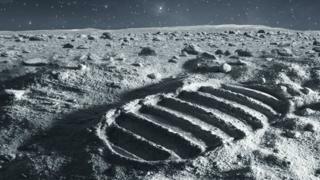 To be able to make this dream a reality they'll need to develop new technology with "reusable systems for astronauts to land on the Moon". If it works maybe they could live in houses made out of these special space bricks, and grow their own food on the lunar surface. Would you like to live on the Moon? Let us know why in the comments below. Back in December 2017, US President Donald Trump ordered Nasa to start planning a new mission to the Moon. This mission would be Nasa's first return to the moon for the first time since 1972. 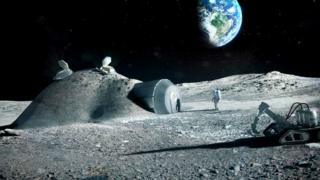 Nasa's Jim Bridenstine is calling for American firms to help develop these human lunar landers which could help maintain "a sustainable, human presence beyond Earth's orbit". Mr Bridenstine said industry partners who might be able to help develop lunar landers would be visiting Nasa's headquarters next week. He said: "It starts with the Gateway - a lunar orbiting outpost designed to ensure the safe transit of astronauts to the lunar surface and back home again." Mr Bridenstine added: "As a lifelong Nasa supporter, I am thrilled to be talking once again about landing humans on the moon. 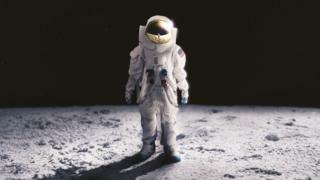 But to some, saying we're returning to the moon implies we'll be doing the same as we did 50 years ago. The moon isn't the only destination in Nasa's sights either. Mr Bridenstine says Nasa's also planning to send astronauts "eventually to Mars and beyond," and that it was "an exciting time to be leading America's space programme". This is so UNFAIR! They could make anyone who has signed a contrast with NASA move to the moon, even if it meant leaving their family forever. I understand that it would be amazing for research but it is unfair. I have always wanted to live while a moon landing Is happening from a young age watching it on the tv the inspirational words. YESSS!! !